48% FRESH FIJIAN ROOT GINGER, PREPARED TO OUR OWN UNIQUE RECIPE, BLENDED WITH A DASH OF NZ LEMON JUICE & ORGANIC MANUKA HONEY. UTTERLY DELICIOUS & INCREDIBLY EASY. * PUT 30MLS IN A GLASS OF SODA & ICE TO MAKE A GINGER FIZZ. We’ve blended our ginger syrup with unadulterated NZ Meyer lemon juice from St Andrews Limes in Hawkes Bay, and certified organic Manuka honey from Earthbound Honey in Bethells Beach. The result is a potent potion with 48% ginger that delivers a powerful yet smooth ginger hit, balanced with a splash of fresh Meyer lemon and deep Manuka honey notes. 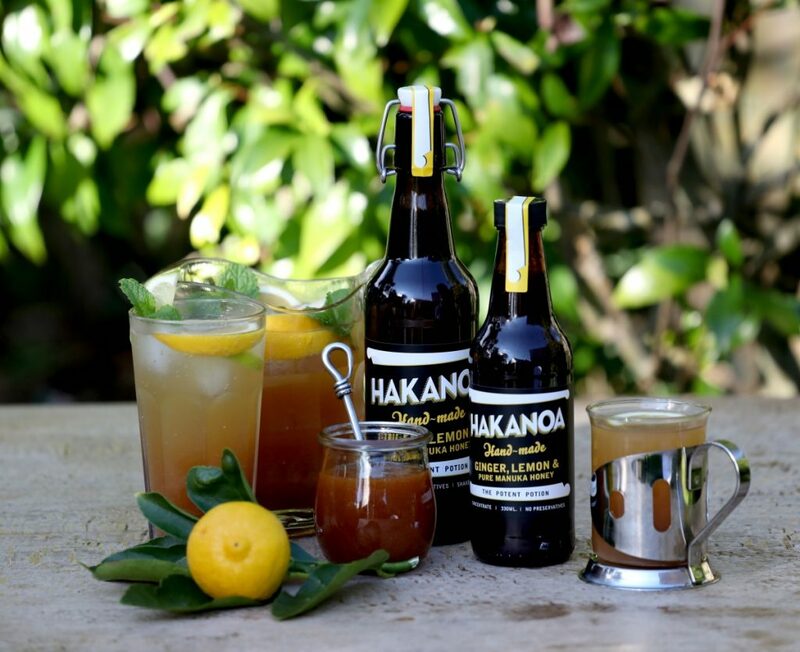 Dissolved in sodas, hot water, hot toddies or just tap water – you will feel that Hakanoa ginger warmth all the way to your extremities.